Website admin skins/themes clearly have a big market. 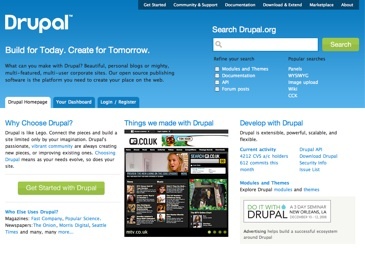 Just see many different options for Drupal hosted on drupal.org or some nice commercial ones on themeforest.net (not Drupal specific). Administration themes are great when you'd like to separate your administration interface from your front-end. And several Drupal studies showed that many people need this separation to understand where content is managed and what does everybody else see of the site. Of course your mileage may vary and there are all kinds of sites where community participation is on a level that admin/front end separation is meaningless. The point of this blog post is not even administration themes, so let's shelve that discussion. Websites often replace traditional web applications as well, when the "front end" of the website is already some kind of data input / management UI, where the data is usually not in the form of textual posts with comments tagged by topics. Navigation is not primarily search based because pages for different functionality in the site are not searchable in a traditional sense. Finally, menus are not built by the site builders but rather the application author, putting in menus and navigational elements via code suited for the application. In Drupal, this kind of theming needs a different approach compared to traditional admin themes, because the web application will most probably not offer the usual Drupal admin functions. For this role, a theme more like the general ones of themeforest's admin looks fits more. In first of a series of posts, I'd like to go ahead and talk about project handling functionality, one of the most important tools behind Drupal.org. At this moment, Drupal.org is running Drupal 5, and a big chunk of modules which don't have a Drupal 6 version to migrate to on Drupal.org is the project module family: project (also includes project_release and project_usage), project_issue, pift_server, cvslog and even comment_upload. Except the comment_upload module (which allows file uploads on comments in a general way), maintenance for these modules are headed by Derek Wright and Chad Phillips. An outstanding thing about these modules is that they keep improving and being adjusted to user needs. Automated testing integration tools were developed and keep improving, so patches submitted against Drupal 7 get automated testing. This is just plain great. However, all this huge amount of motion is going on in the Drupal 5 version of the module. And given that Drupal.org needs a stable environment, it takes considerable effort to maintain a stable Drupal 5 branch with all these feature improvements and changes coming in. While these modules do not even have a Drupal 6 branch yet, Adam Light went ahead and worked on a Drupal 6 port for project module. He hosts this in his own private Subversion repository (see http://drupal.org/node/157694#comment-891587 and the rest of the comments there). Since he started off long ago from a then current version of the module and implemented Views integration (instead of the one-off SQL based pages in the Drupal 5 version), the Drupal 6 port has a largely refactored codebase and does not carry the improvements made to the Drupal 5 version since then. The lead maintainers however are at this point more interested in working on a new stable release for Drupal 5, given that some bigger changes they are planning to make would be easier to manage on their own instead of as part of a bigger porting and migration work to a new Drupal version and to a Views based backend. This gets us to a message of "please help with a new stable Drupal 5 release of project module before Drupal 6 work can be considered". While these patches are relatively big, they are far from how big of a monster patch is the Drupal 6 upgrade. All-in-all the possibly awkward conclusion is that maintainers look for help with the Drupal 5 version before Drupal 6 work can be started. There are still some things that we'd like to get fixed in the Drupal 5.x branch of the project and project issue modules before we branch for Drupal 6. See http://groups.drupal.org/node/10865 and http://groups.drupal.org/node/16069. One big issue that affects all of project* land is #98278: project* namespace bugs in $node. The project* maintainers have agreed that it would be best to fix this problem *before* branching, because if we try to fix it during the port that will make testing the port even more difficult than it will be. Creating a D6 branch itself will not really unblock things. Hunmonk or I could also do that ourselves. However, the ported code that is currently in my SVN repository contains a *lot* of changes, and all of us agree that those changes should not just blindly be checked into the project cvs repository without at least some review. Yes, we all realize that this is a non-ideal situation, and that the port is moving much slower than anyone of us would like. The best way anyone could help move the port forward would be by helping to write or review patches for any issue not yet finished in the list of things to do before the next 5.x release. Mostly, that means reviewing the $node namespace patches in the issue I linked to above. The unfortunate part of this issue is that it is huge, but really boring. And none of the sites run by the project* maintainers use a combination of modules that actually causes this bug to reveal itself. But at the same time, we realize that lots of project* users *do* use such a combination of modules (eg. they use pathauto with project), and so we need to fix this bug soon. So there are numerous big issues affecting Drupal.org which will be solved as part of the Drupal 6 port, but the main issue holding back the port from even starting is an issue which does not even affect drupal.org (and therefore is not going forward on any reasonable speed). Put away some of your cool feature ideas for project modules on drupal.org for now. Let's focus on porting and bugfixing or we are not going to get over new feature requests anytime soon. Help test and fix existing issues in the Drupal 6 port of project module. It at least has Views integration issues coming from the RC2 API changes in Views. See my pending patch at http://drupal.org/node/157694#comment-1069892 which still needs work. We definitely need your help in many ways. Let's do good for the drupal.org upgrade / redesign! Help us upgrade Drupal.org to Drupal 6 to get to the redesign! Update: The final design iteration is online! Check it out! Added screenshot to the post. About five weeks ago, I blogged about that the redesign process is coming to an end soon, and that it is our job to take over and actually implement what was designed. The first steps to get to a better drupal.org is (1) to see what we have, (2) keep what we are going to use forward, (3) implement migration paths for whatever we drop and (4) start adding functionality afterwards. 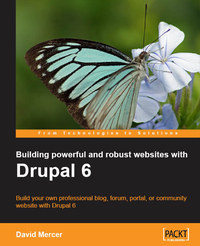 In my previous blog post I referenced my report titled Where we are with Drupal.org modules vs. Drupal 6? which covered some of (1), and provided some ideas for cleaning up for decisions in (2). At the start of the redesign, ideas of single sign on for drupal.org subsites, splitting out project management to its own subsite or merging all subsites into one were tossed around. A single unified node id space among subsites was discussed but more concrete implementation details were not made up. So there are lots of bigger scale infrastructure questions, and we need dedicated people to deal with these, drive the directions, make up solutions. To facilitate teamwork, I decided to bring findings in my report to a wiki page and encourage all of you to come and sign up for tasks. The Drupal.org to Drupal 6 upgrade collaboration page is a wiki page which lists major module sets on drupal.org and calls out some ideas / directions we might/should take in each area. There is place for people to sign up and for relevant issues to be posted to have an overview of all the items needed. The drupal.module based distributed authentication model for Drupal.org is planned to be OpenID going forward, and we will drop the old drupal.module based authentication scheme. This needs action on drupal.org to set up an OpenID server and provide migration for those using their drupal.org names on sites such as groups.drupal.org for example. The xapian and search modules now hosting the search functionality are target of much criticism. Jacob Singh, Robert Douglass and Peter Wolanin have a better proposal for drupal.org based on ApacheSolr, which will offer faceted search as well: http://dc2009.drupalcon.org/session/more-search-how-apachesolr-changes-w... So why would we update the xapian module then? While there are some questions, there are clearly required modules, such as the project module family, without which drupal.org will not live as happy as it is planned to be. There are numerous smaller modules in the drupalorg.module, or items like comment_upload which need attention if you can help out. As Kieran Lal writes, today is the day when we will see the last design interation from Mark Boulton Design, and from there we are left with designs we need to build actual working functionality behind. With the risk of repeating myself from my previous post, I'd say again, that there is nothing like building a website for more then 300,000 users and 720,000 unique visitors per month. You might not catch such a project soon, if you miss this one! So get on and work with us in this exciting redesign! Read more about Help us upgrade Drupal.org to Drupal 6 to get to the redesign! If being a co-lead organizer for Drupalcon Szeged 2008, getting married in three weeks, moving flats and of course building products and services with Acquia would not be enough, I thought I'd top my Drupalcon participation with a nice surprise session submission. If my session makes it (vote! ), and you come to Drupalcon Szeged (you should), I'll teach you how can you convert an existing HTML/CSS template to a Drupal 6 theme in a matter of 45 minutes, with the full live demo from the ground up included with instructions. I've managed to do this before, so I am confident it should be lots of fun. We will break our Drupal site numerous times, and learn to live with it while the tough time constraints are looming on us, and should of course get to a gorgeous end result. 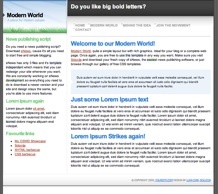 We will convert the Modern World template by Solucija and will get to a Drupal 6 theme with blocks, menus a theme screenshot and all. I'll also tell you how can you contribute the theme to drupal.org or through other means if the template license does not allow you to upload to drupal.org. This is of course not a requirement, since you might as well only work for your own client. You decide! Just make sure to vote on my session, to help me get into the program and come to Drupalcon not only for this great session, but all the other fun programs which are on offer. You definitely should not miss it!